*Sponsored Post: I have been gifted a product to give my honest opinion about. At A Geeky Ginger, I only share products that I fully support. All opinions are mine and are not coerced by any form of payment. A few months ago, a rising concern for safety happened to enter into my world. I've got two young girls and we tend to be home alone quite often (when we're actually home). My oldest daughter and I also worry about our animals, since we are away from the home so frequently on trips. 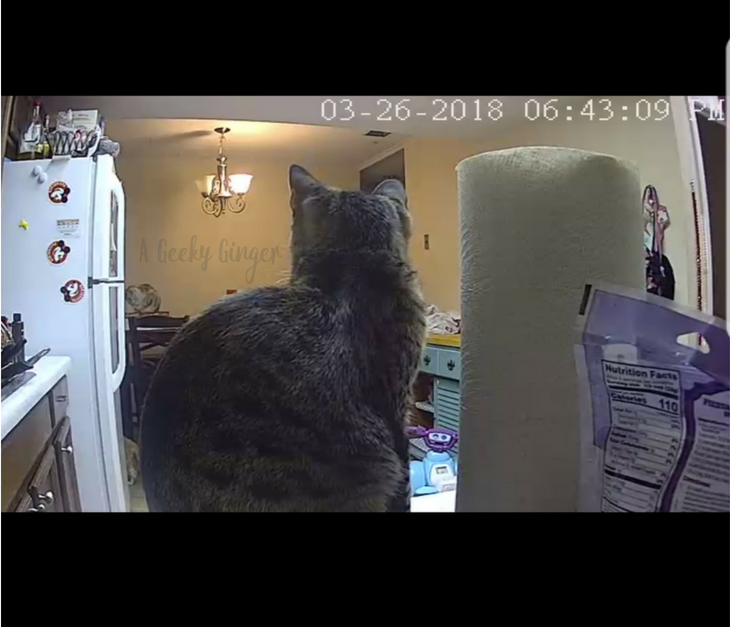 So, my husband and I decided we needed to add some outdoor and indoor surveillance to our home. I did a bunch of research and took a chance on a company called Zmodo. They seemed like good quality, affordable surveillance cameras and I was highly interested in the idea of having a cloud through them to store the footage on. I first came across their surveillance cameras on Amazon, and then followed that to their own website to find out more. Let me just say, I am incredibly impressed by the selection of items they have! Indoor cameras, outdoor, smart doorbells, smart thermostats, door/window sensors.. You name it, they probably have it. 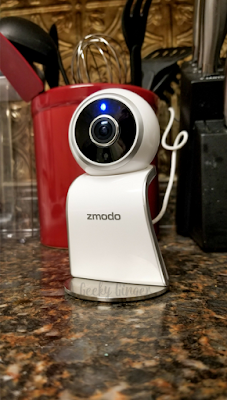 The cameras I got for my outdoor surveillance are the Zmodo 720p Indoor/Outdoor WiFi Camera. Don't let the lesser resolution fool you, as these cameras are amazing. They have high quality picture without lag and have impeccable night vision (I watched the neighborly possum hang out with my cats on many occasion.. no judging). I was able to just set up 4 around the outside of my house with no blind spots for any of the entrances! Pretty impressive. The other camera I have is Zmodo Sight 180. This is an indoor camera with 2-way talking capabilities (I scare my cats off of counters and bookshelves often with this). You can really have just one or two of these and be able to catch so much with it's 180 degree viewing! So, before I get carried away, let me go over a quick individual Pros/Cons lists for these cameras. All of these "pros", and the cameras hook up to an app you download! It's that simple. You plug the cameras in, connect them to your WiFi, name them, and boom! You're in business! They have a cloud that you can subscribe to (for a small fee), which will store all of your footage and allow you watch/replay anything in the past 24 hours in the app, but you can go and watch any of it from your laptop or PC through their website/your cloud. So, whether you are at work or sitting in your room while the children play in the living room, you can keep a close eye on them and make sure all is well. No more of those worrisome moments when you think "Why are they that quiet?". Now you'll know why immediately! I will warn you, though.. You will probably get most notifcations from your pets. These cameras are seriously incredible and they make me feel so much safer. 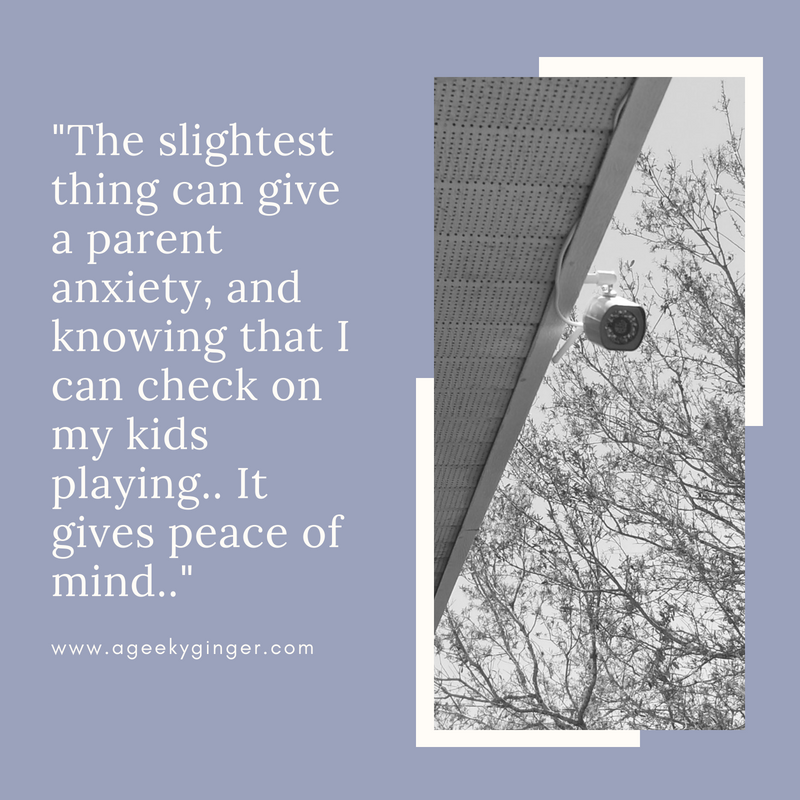 The slightest thing can give a parent anxiety (at least for me), and knowing that I can check on the playing in the living room, or on that sound outside, or watch my kids in our fenced in backyard on the cameras.. It all gives peace of mind that I've never had before. Parenting is rough and stressful and worrisome. 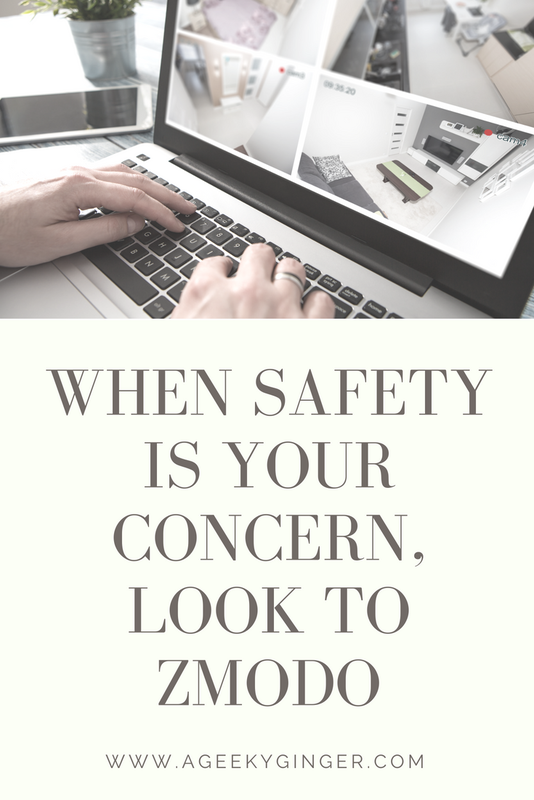 So why not take a load off and add some extra security with Zmodo? My next purchase will probably be the Smart Doorbell.. Cuz I'd really like to see who's knocking on my door uninvited and secretly scowl at them through my phone. Which Zmodo product do you think you'd like to get?? Share in the comments! I travel a lot, too, so I think these Zmodo cameras would come in handy for me as well. We are living in a world where things like these are becoming the norm. It’s better to feel safe ! This looks like a great product. Home security is such an important investment.